Wickham Bishops, Essex. 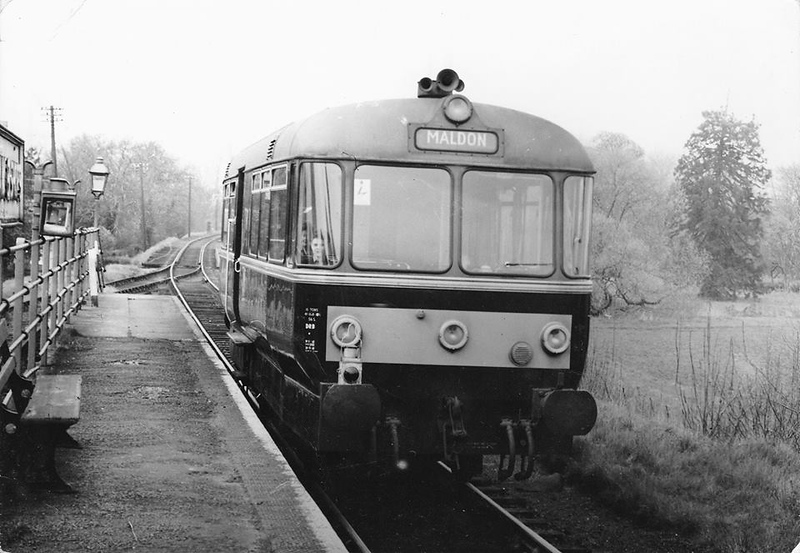 A Waggon and Maschinenbau railbus No:- E79963 stands at the station with a working from Witham to Maldon East. Spring 1964.